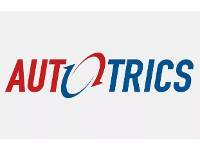 Save money: Instantly compare MOT costs in Bilston to find the best deal. Book a service at the same time as your MOT and receive further savings. Some of our garages offer MOTs for just 1p when booked alongside a service! "Very good kept informed and can watch it the mot being done very friendly staff also"
"Happy with the price and done on time"
"Good garage, just ensure if you booked online that you tell them otherwise you won't get a discount. I had to go back for mine. Didn't wait for MOT so can't answer last question is not actually correct, sorry." "Kept informed what was going on throughout mot friendly staff! Really good honest staff will be going there for every service and mot in future"
"Great service, booked through site as was cheaper"
"Good people that simply do a good job"
"Busy but friendly independant garage You actually get to meet the mechanic Lee very friendly and down to earth Great service all round fantastic value will recommend to others cheers"
"good team, they will take good care of your car, thank will be back"
"Good service seem very reasonable on price have used the garage a few times now"
"I am happy with service"
Find MOT Garages in Bilston; compare prices and book online, from the comfort of your own home, with BookMyGarage. You may live within walking distance of a garage which offers most of the services you need. However, by sticking with the nearest garage in Bilston you could be missing out on a better deal. What if a garage with a collection / drop off service or courtesy car could do the same job at a good price, without the inconvenience of losing your car for the duration of the repair? BookMyGarage allows you to search for local garages which offer this facility, and compare their prices, all in one session.